The Louisiana Young Readers’ Choice Awardopens a new window is a reading enrichment program of the Louisiana Center for the Book in the State Library of Louisiana. 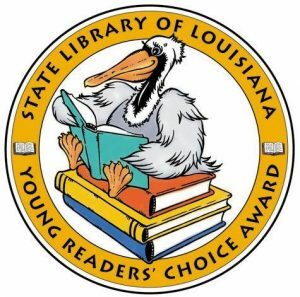 The purpose of the program is to foster a love of reading in the children of Louisiana by motivating them to participate in the recognition of outstanding books. Students may read or listen to the books (at least three) and vote for their favorite one. Voting is done online here. The books that receive the most votes from the students are the Award Winners. The books with the second most votes are the Honor Books.